Sony adds nine 4K HDR models to 2016 TV line-up | What Hi-Fi? Screen sizes range from 43in to 65in, with one curved screen - the 50in SD80 - joining the ranks. 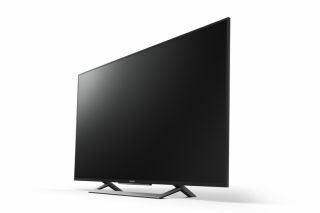 Hot-on-the-heels of the launch of the Sony Bravia ZD9 series, Sony has introduced five new ranges of 4K HDR TVs to its 2016 line-up. The XD83, XD80, and SD80 series feature Ultra HD 4K resolution and HDR (high dynamic range), while the XD75 and XD70 have 4K resolution screens but no HDR. While the ZD9 series gets all the benefit of a powerful new X1 Extreme processor, improved backlighting and a gold-accented design, the five new TV ranges are packed with Sony's existing technologies. 4K X-Reality Pro, which handles the upscaling of all content to 4K and ensures detail and clarity, is present across all ranges. The XD83 and XD80 have the added bonus of Sony's colour engine, Triluminous Display, and, along with the curved SD80, they have a clever cable management system where wires are fed through the stands. Android TV returns as the smart TV platform and brings hundreds of apps and GoogleCast. There are a total of nine screens within the five ranges. All new Sony TVs will be available in the UK soon.